Does anyone have any info or thoughts on the Free-Way 6-way toggle and 10-way blade switches? I've had one of their 6-way toggles installed on my old Les Paul and it is pretty cool, but I haven't heard them being discussed much by the builder community. Just what I need for my new SSS Solo6. I just ordered the 10 way blade from StewMac. The Berylium singles are nice but I was craving better so a set of black Barden Chunky S pups on the way also. Plus the white covers aren't to my liking. I put the 6-way in a LP Standard with Duncan Invaders for a friend late last year. Easy enough when following one of their many wiring diagrams, even over beers with said friend. Didn't even have clearance issues in the cavity but it was darn close. We initially did the first 2V2T schematic where it's standard ops in the upper position and single slug coils in the down position. He liked it for a week but decided that wasn't what he wanted to do live, instead settling for a Strat for certain gigs if he wanted split sounds. He settled on the one where it's standard ops on top and direct to the jack on the bottom. The pickups bypass the volumes and tones. As it's a LP, they tend to be kind of warm anyway, but direct, it gets a slight volume boost and it's a tad brighter bypassing the tone pot and cap. So, it's really cool for leads. And the Invaders gave the LP more balls and definition anyway, but going direct is the boost he wanted for stepping out. He's a Marshall guy with a Plexi and a few pedals and A/B box, so he was happy to remove the boost pedal out of the chain and let the pickups do the talking. I'm hopeful to get approval this week to use the new 5x5 10-way blade on a new Solo build. The Free-Way guys developed a schematic just for my config, which I'm sure they'll publish on their website. I'm going to use 3 Seymour Duncan Red Devils, which are humbuckers. MarshallTSL wrote: I'm hopeful to get approval this week to use the new 5x5 10-way blade on a new Solo build. The Free-Way guys developed a schematic just for my config, which I'm sure they'll publish on their website. I looked at their website but could not find the schematic for the 10-way blade switch. They had a couple of application examples but that's it. I'd like to know more about them also. Incidentally, I'm building a few all rosewood guitars and I've also chosen the Red Devils for one of them. We must compare them later! I just finished the install with Bardens which are humbucking. I used 1V 1T scheme B. No special humbucker scheme needed. I also added a push pull to put the 2 coils of the center pickup in parallel for added quack. I'm curious of the free-way custom scheme they did for you. Can you share it here? Last edited by dejabluguitar on Wed Apr 10, 2019 11:31 pm, edited 1 time in total. 2 great products installed. Also correct 250k pots. 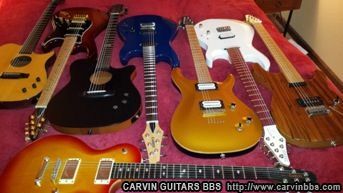 The JBE pickups are absolutely fantastic, the feel and response superb. always clear ,never harsh or shrill , bottom tight never boomy . And sound good in all 16 ! yes, pickup selections, thanks to the Free-Way 10 way blade combined with a push-pull to put the center pup coils from series to parallel. plus the axe plays superbly,really the 1st 3 pup guitar that really works for me. A huge improvement over the stock berylium set up, it has moved to my number one go to. Okay, I did see these. all you really need. pup bare wires go to common ground only thing not noted. The BBS won't let me post PDFs, sorry. PM me with your email address and I'll send it. dejabluguitar wrote: I'm curious of the free-way custom scheme they did for you. Can you share it here? OK, I got permission to use it today. The complexity of the switch, and that it's slightly larger than their standard blade switch, will preclude me from also getting acoustic saddles on the Solo. But, I'm going to get a master coil tap push-pull on the tone pot. MarshallTSL wrote: OK, I got permission to use it today. The complexity of the switch, and that it's slightly larger than their standard blade switch, will preclude me from also getting acoustic saddles on the Solo. But, I'm going to get a master coil tap push-pull on the tone pot. Great news. Cool that they will do it. I thought they weren't doing acoustic saddles on a Solo? I hope they are. I think my choice of a push pull to put the mid pup coils from series (normal) to parallel(lower output, thinner sound, still hum cancelling) (JBEs are dual coil design) was a good decision. that sound by itself plus it, combined gives me all the thinner sounds I need. Single size humbuckers don't split well in my experience, and are noisy split. IMO a master split will give a bunch of thin noisy combos on the free-way. I hope it works out for you. My set up is quiet in all 16 pup combos. Took it to a big blues jam tonight and got many compliments and questions about the guitar. JBE are now my favorite pups of all time. We are gonna get along well. MarshallTSL wrote: The BBS won't let me post PDFs, sorry. I contacted them to update their schematics with a diagram showing terminal connections (which terminals are connected together in the 10 positions) and got no response nor was the schematics page updated. They do have a terminal connections diagram for the 6-way toggles. Their schematics are not helpful as I want to make a custom diagram for a 2 humbucker guitar. If any of you have any extra info not on the web please give us a shout. MarshallTSL if you are in contact with them please tell them to get their heads out of the sand! I'd contact Alisdair Bryce to get any diagram you're missing: info@freewayswitch.com. Alisdair is incredibly quick to respond. Howler wrote: I contacted them to update their schematics with a diagram showing terminal connections (which terminals are connected together in the 10 positions) and got no response nor was the schematics page updated. You can definitely get Acoustic Saddles on the Solo. WRT to JBE, I'm happy you're getting great results. I'm using the 6-way Toggle on a humbucking P90 set and I haven't had any noise problems. Plus, the switch I have is dead quiet, so I'm not overly concerned. dejabluguitar wrote: Great news. Cool that they will do it. I thought they weren't doing acoustic saddles on a Solo? I hope they are.